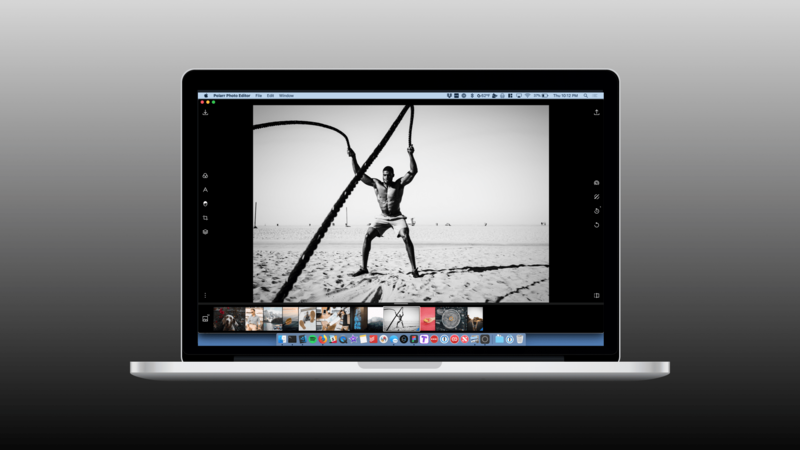 Users of Polarr on large-screened devices like Mac or Windows have access to a filmstrip. This filmstrip allows you to load multiple photos into Polarr and quickly jump between them when making edits. The filmstrip is also a great way to manage batch export in Polarr. We'll quickly go over how easy it is to remove photos, open photos, remove selected photos and more. To start, click the photo icon with two mountains in the lower left corner of the app. This brings up the following options. Click this if you want to load some photos into Polarr. You can select just one or multiple photos to load them all at once. This option will quickly remove whichever photo is currently selected in the filmstrip. Use this to close out all photos open in the filmstrip. It's a fast way to clear the filmstrip and have no photos open in Polarr. Great for starting a new series or set of photos. Want to hide the filmstrip or make it larger? Just grab the handle above it and drag it down to hide. Drag it up if you want to make it larger.